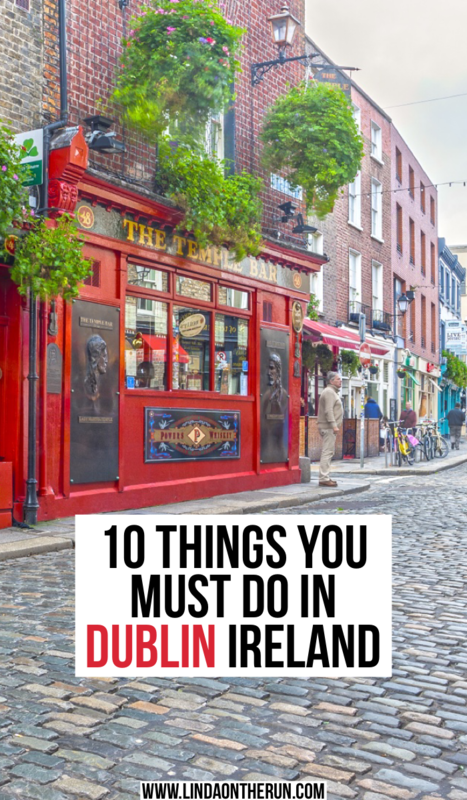 Are you headed to Ireland and have 2 days in Dublin to see the sights, eat the food and have a beer in an authentic Irish pub, and looking for recommendations? 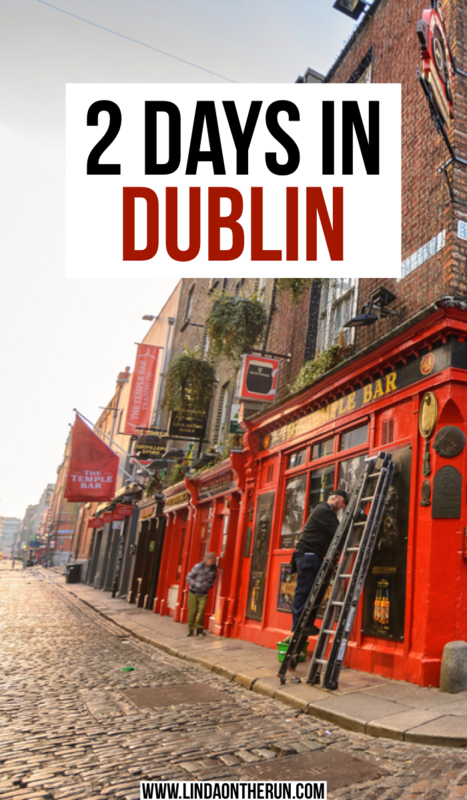 Look no further because I was in Dublin not long ago and I have assembled the perfect and ultimate 2 days in Dublin itinerary for you. Dublin is such a vibrant city with lots to do and lots to see and I want to make sure you do not miss out on anything! In what order and how long you spend at each location depends on you. You must take into account the weather, how many others are in your party, and how everyone feels. Take your time and enjoy yourself. 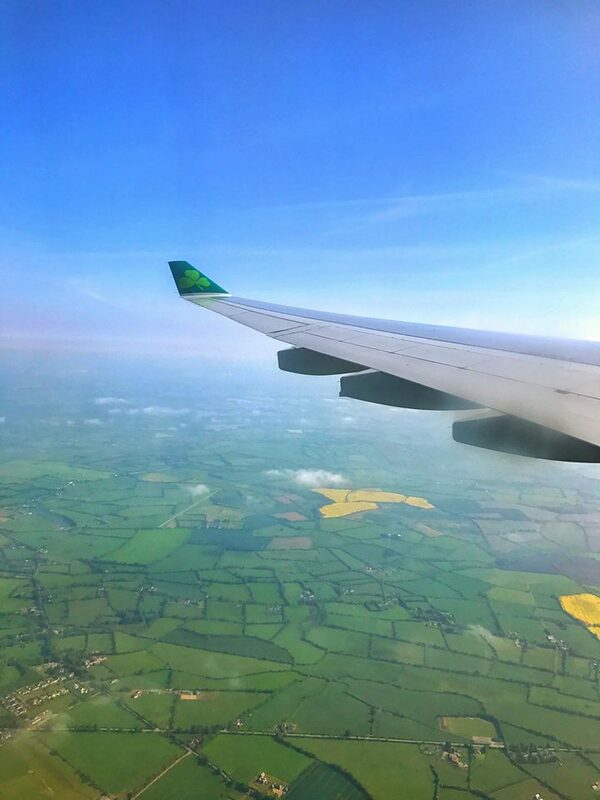 How the Emerald Island earned her name as seen from the Aer Lingus plane just before landing. Most travelers arrive in Dublin by flying into Dublin International Airport. Others from various locales in Europe, Northern Ireland or other parts of Ireland drive their cars or arrive by train or bus. The train system in Dublin is one of the most popular ways to get around. If you arrived by plane to Dublin International Airport you have several choices about how to get from the airport to Dublin City. You can secure a taxi or hire an Uber to transport you to the city to begin your 2 days in Dublin itinerary, but that can be very pricey. I chose the Airlink Express, Route 747 from the Dublin International Airport directly to Dublin City Center. It was less than $10 U.S. dollars, one-way, and the bus speedily rode along to Dublin City, approximately 6 miles away. 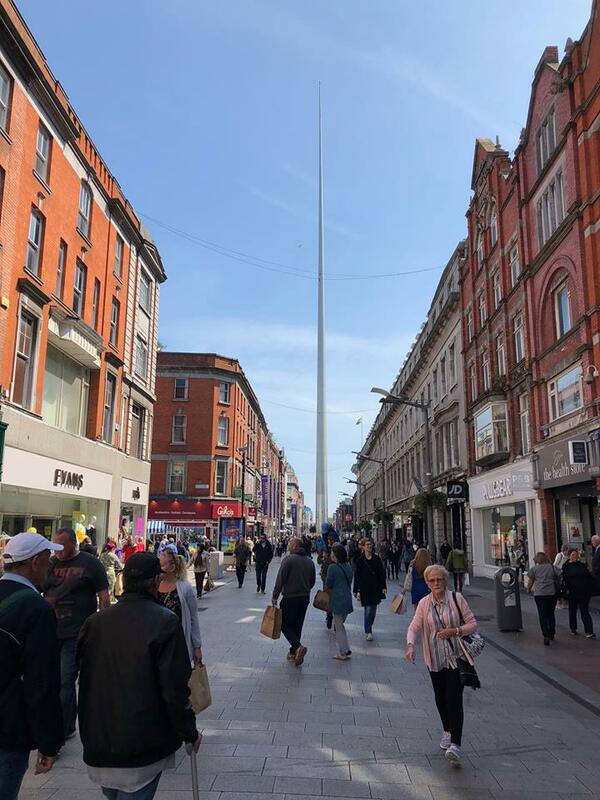 The bus does make several stops on its route, and I stayed on until the O’Connell Street stop, which was located at the famous Irish landmark, the Spire. My Air B&B was a mere few blocks from where the bus dropped me off which was uber convenient. I purposefully chose an Air B&B inside the Dublin City Center walls. I was able to walk everywhere! I paid a bit more for the convenience, but it was definitely worth every penny. If walking does not appeal to you, I have lots of other suggestions. You can purchase a Hop On, Hop Off Dublin Pass, which offers you bus transportation around Dublin. You have your choice of two routes, with twenty-eight stops at a variety of landmarks and attractions around Dublin. DART is the electric rail system and stands for Dublin Area Rapid Transit, and is a fast and easy way to get around Dublin. And yet another option for you is the Luas- Dublin’s light rail tram system. Currently, it offers two independent routes, and schedules are online for your convenience. It is hoped that in the future, the two lines will connect. There are ticket vending machines at every stop. Dublin Castle is a fine choice and way to begin the first day of your 2 days in Dublin itinerary. Dublin Castle is steeped in history and you will definitely want to take their guided tour, admission fee required. You can opt out and tour the grounds by yourself, but you will not have access to the staterooms on the second floor. I took the tour and found it fascinating. The guides are so full of interesting tidbits about the history of Ireland. Dublin, the original Gaelic name, ‘Dubh Linn’ translates into Black Pool. The stagnant black pool of dirty water, from the River Liffey, was originally located on the Dublin Castle’s property and is how Dublin received its name. The Dublin Castle tour includes descending below ground to view some of the original walls of fortification surrounding Dublin and also visiting staterooms on the second floor of the castle. The history of the past guests was very interesting along with tidbits and tales of things that occurred within the castle’s rooms and which political and royal dignitaries visited. Chapel Royale, the castle’s chapel, was beautiful and full of tales of its own. If you find yourself hungry or thirsty, there is a lovely eatery at the back of the castle with outdoor seating. The tour lasts one hour. 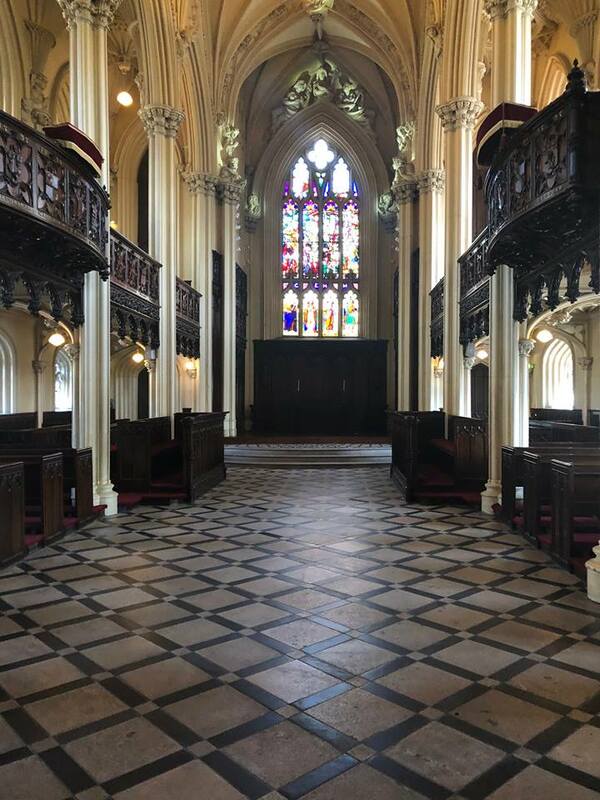 The exquisite Chapel Royal inside Dublin Castle. Dublin Gardens are located immediately behind Dublin Castle and a beautiful place to stop and enjoy the landscape. You can even have your refreshments from the snack shop out on the balcony overlooking Dublin Gardens. 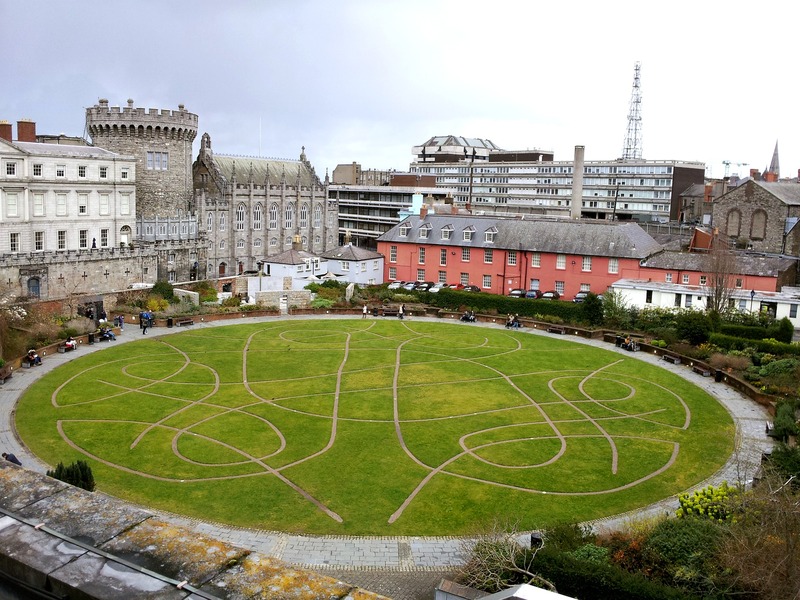 The Gardens are designed with a pattern of six connecting winding pathways that can be seen from the air and resemble the iconic Celtic design. Dublinites often take a few precious moments out of their hustle and bustle busy lifestyle to come and visit the Dublin Gardens and relax. The gardens are beautiful and you will want to meander through them at your leisure, so plan fifteen minutes. Chester Beatty Library is located directly adjacent to the Dublin Castle and is free. It houses the collections of Sir Charles Beatty, who made his name in mining. Admission is free, and guided tours are available for a fee, but check the tour times when you plan to visit so you can adjust your day accordingly. The treasures are displayed in two collections, “Sacred Traditions” and “Artistic Traditions.” Upon his death, Mr. Beatty bequeathed these priceless and sometimes rare items to the Irish People. I missed out on seeing all the exquisite treasures at the Chester Beatty Library because of poor time management and was very disappointed. Do not make that same mistake! The guided tour lasts one hour. Conference Center Building is located on Dublin Castle’s grounds. It hosts traveling exhibitions, and when I was visiting Dublin, there was a very moving and very inspiring presentation of the Irish Famine. It was both very sad and very enlightening. There was definitely more involved in the millions of Irish deaths than simply failed potato crops. Since the exhibitions change, make sure you inquire during your visit to Dublin Castle what show is currently housed at the conference center. Depending on the exhibit being presented, you may spend thirty to sixty minutes here. 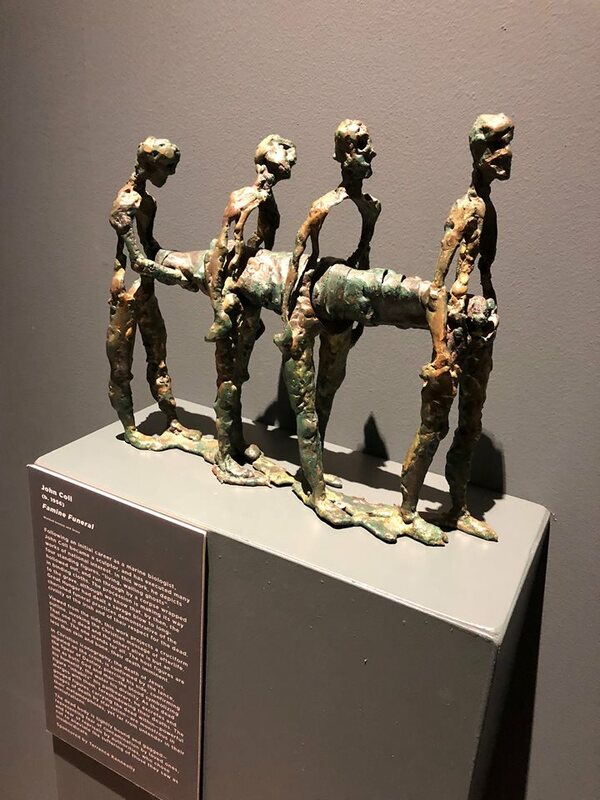 Hauntingly provocative sculpture depicting the Famine. 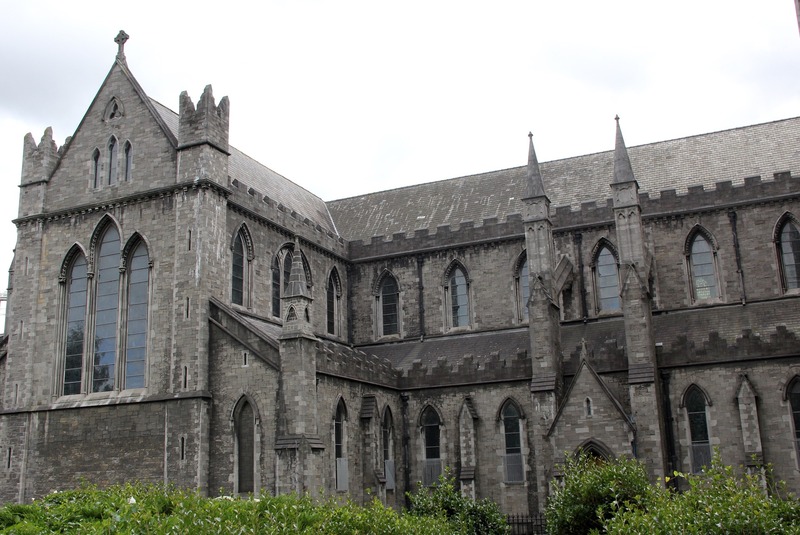 Within walking distance of Dublin Castle is Saint Patrick’s Cathedral which is on your 2 days in Dublin itinerary. It is a Church of Ireland Cathedral and the national cathedral of the Emerald Isle. There is a paid entry, which included a guided tour. The interior of the church is beautiful and I learned a lot about Jonathan Swift, (author of many manuscripts, the most well-known is Gulliver’s Travels), as he is buried there. Saint Patrick himself baptized converts to Christianity using a spring on the property. This visit will probably last thirty to forty-five minutes. Of all the Dublin attractions, visiting Trinty College and The Book of Kells was tops on my wishlist! There is an optional paid guided tour of Trinity College, which I decided to do. The college is very prestigious and it is difficult for aspiring students to attain acceptance. 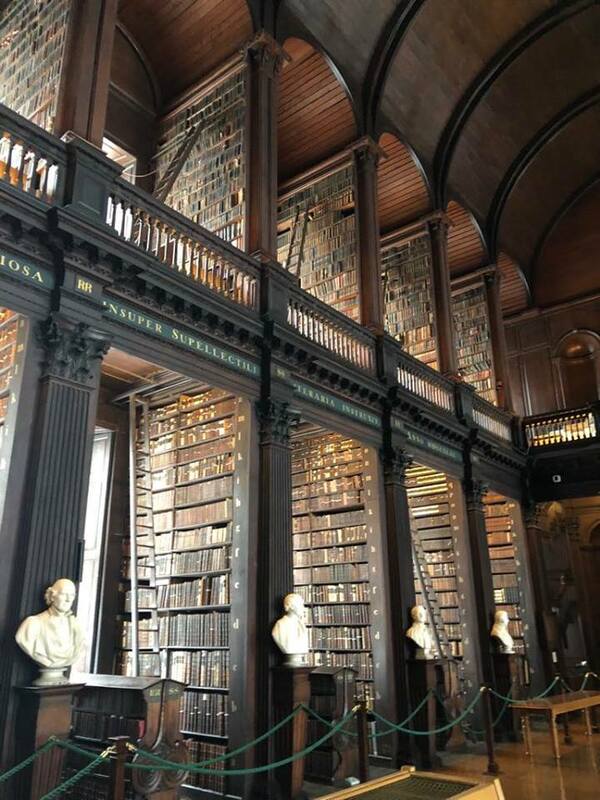 Truthfully, while I did learn information about the history of the college, I would suggest you skip the optional outdoors guided tour of Trinity College and head directly to the Long Room Library on campus, which houses the incredible Book of Kells and next on your 2 days in Dublin itinerary. This tour took about thirty minutes. There is a paid admission fee to enter the Old Library on the campus of Trinity College, but I thought it was so worth it and a worthy addition to your 2 days in Dublin itinerary. Once inside, I also purchased the audio tour, which guided me along the way while explaining everything in great detail. I would definitely recommend purchasing the audio tour. 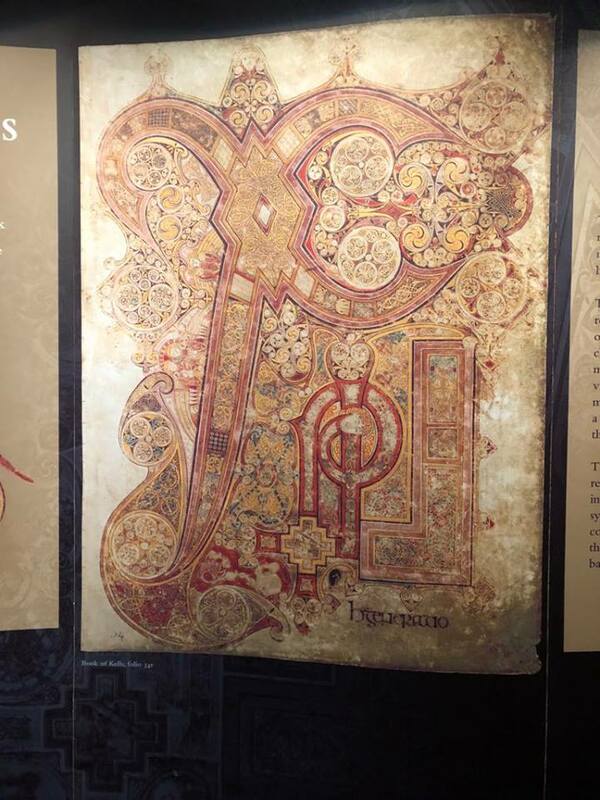 The beginning of the tour included detailed explanations about the calligraphy and drawings in the Book of Kells, which was written in Latin, in approximately 880A.D., by Catholic monks at a monastery in either Britain or Ireland or Scotland, and is considered a national Irish treasure. Seeing the actual two parts of the Book of Kells on display under glass was a highlight of my trip. The Book of Kells is a written manuscript of all four of the gospels in the New Testament. The pages are turned on average once every two months, so if you visit again, you will not view the same exact pages. The calligraphy is exquisite and the drawings of plants, animals, and people were all drawn to glorify God. I walked slowly around the display case several times before I reluctantly left and continued on my tour. The Long Room Library is the largest room of the Old Library on the Trinity College campus. It houses over 220,000 vintage books. Most of its exhaustive number of books are stored off campus. The library is a “copyright library” and thus receives a free copy of any book printed in Ireland or Great Britain. The room is massive with books from head to toe on either side of it. Also visible are many busts of great philosophers and writers of the western world. All men. Yes, all men!!! Nonetheless, the busts lining both sides of the room were impressive, as was each of the men they represented’s body of work that contributed to civilization. You will want to allocate one hour to ninety minutes to the Old Library, which includes the Book of Kells and the Long Room Library. There is a lot to see, and no one will hurry you along, so you are able to view everything at your own pace. And, there is a gift shop as you exit. The Long Room Library- books stacked from floor to ceiling. Notice the busts of influential scholars. The General Post Office located in the center of O’Connell St., Dublin’s main street, is one of Ireland’s most famous of buildings. It currently is a working post office but is more recognized as the main stronghold of the rebels of the 1916 Irish “Rising,” on the country’s quest for independence, and also for its beautiful architecture. There is also an option of a paid admission attraction highlighting and explaining in great detail the 1916 Rising. I was unable to see this exhibition about the uprising, but I will make it a point to check it out the next time I’m in Dublin. The General Post Office is very much a wise choice on your 2 days in Dublin itinerary, because of its architecture and informative panels which explain in detail the chain of events, and the participants involved in the Irish 1916 Easter Rising. You will need fifteen to thirty minutes at the General Post Office if you do not enter the museum, and probably one hour if you do. The very popular a trendy Temple Bar District is a fantastic way to end the first day of your 2 days in Dublin itinerary. Be forewarned, the Temple Bar district of Dublin, a few blocks where eclectic restaurants, pubs, and galleries are jam-packed together, is extremely popular and very crowded. It is considered the most popular tourist destination in Dublin. I visited on an early Friday evening, and could not believe how crowded the several block area was. People watching was fun, as was the chocolate vegan gelato I got! 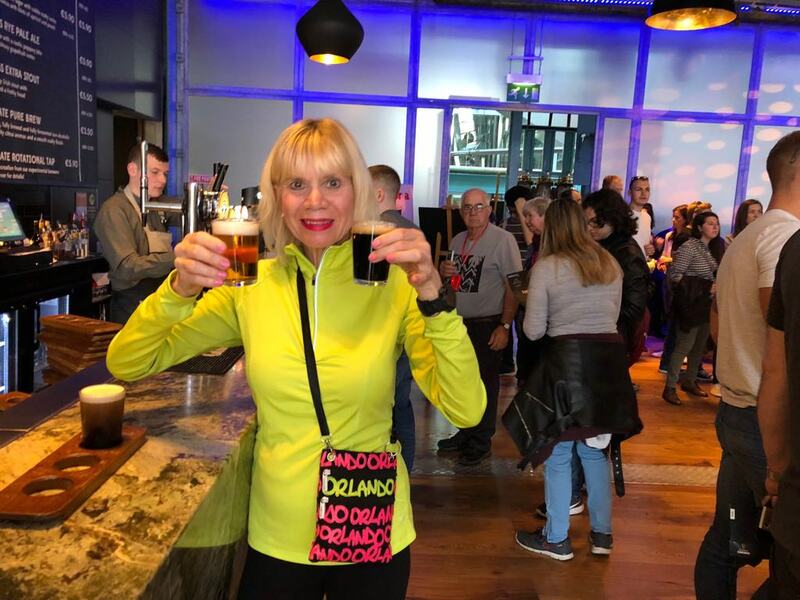 And of course, there’s certainly nothing more Irish to do on your 2 days in Dublin itinerary, than raising a glass at the Temple Bar. Again, a reminder, the line is long to get into the bar. Be patient for this authentic experience. 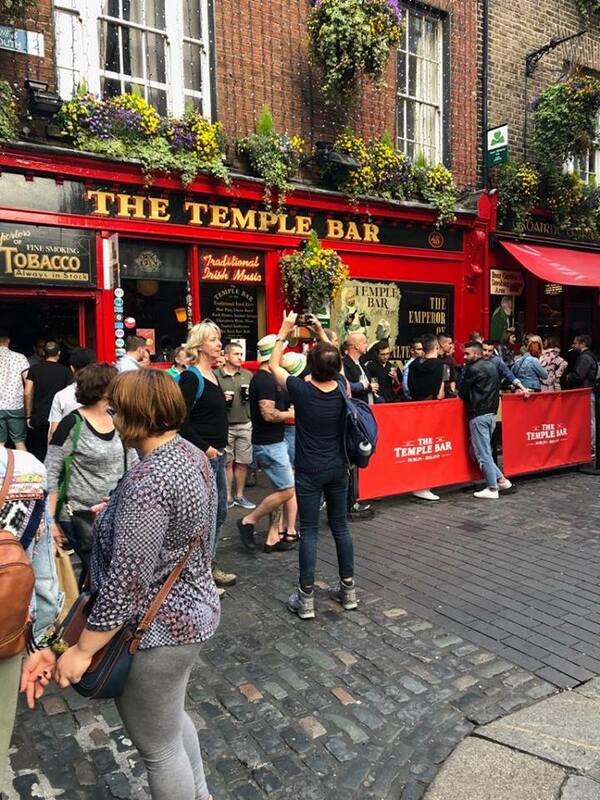 Plan to spend an hour or two at the minimum to experience the vibes of the Temple Bar district, more if you shop the galleries and stores, and eat or drink at one of the many fine Irish establishments, especially the world-renowned Temple Bar. Ha’Penny Bridge is a quick walk from the Temple Bar District. It is made of ornate cast iron and although its official name is the Liffey Bridge, it is still called the Ha’Penny Bridge. The name is derived from the cost (ha’penny or 1 1/2 pence) charged early Irish pedestrians to cross the Liffey River. It is a great place to stop and take pictures commemorating your Dublin visit. Budget fifteen minutes to take pictures and admire the Ha’Penny Bridge and its ironwork. Ha’Penny Bridge overlooking the Liffey River, at sunset. Today’s first four destinations on your 2 days in Dublin itinerary, are located just outside of the Dublin city walls. First up is Kilmainham Gaol Museum. 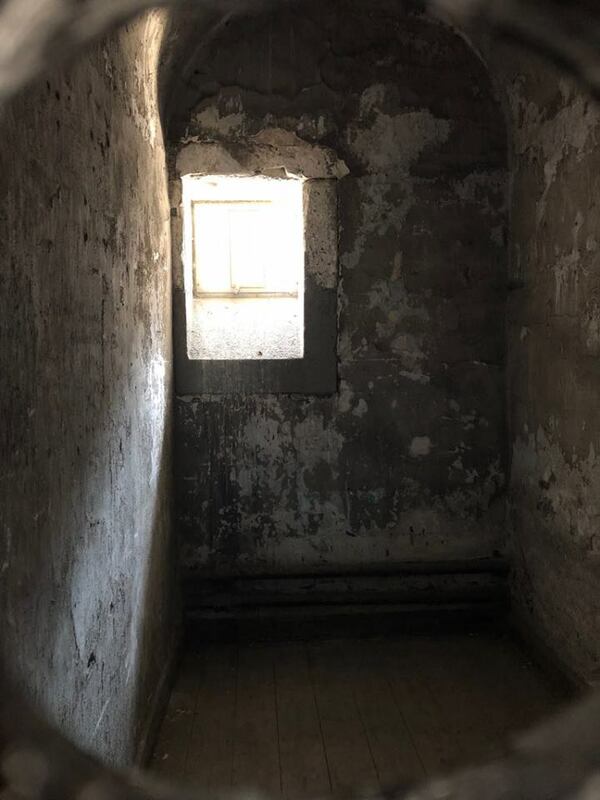 Once used as a prison, Kilmainham Gaol is now a museum run by the Irish government detailing some of the most courageous and most devastating events in Irish history. Imprisoned there were the Irish rebels accused of inciting many Irish rebellions, including the 1916 Easter Rising. It was at Kilmainham Gaol that the British put to death by firing squad many of the leaders of the 1916 Rising. The jail also housed many ordinary Irish citizens for their crimes as well, in deplorable conditions. There is an admission fee, but that comes with a guided tour that lasts about one hour. Consider purchasing your tickets online if possible. I did not and waited at least 20 minutes in line to purchase my ticket. There is also a moving and very interesting museum at the end of the tour, so plan to spend a minimum of one hour to ninety minutes touring Kilmainham Gaol on your second of 2 days in Dublin itinerary. 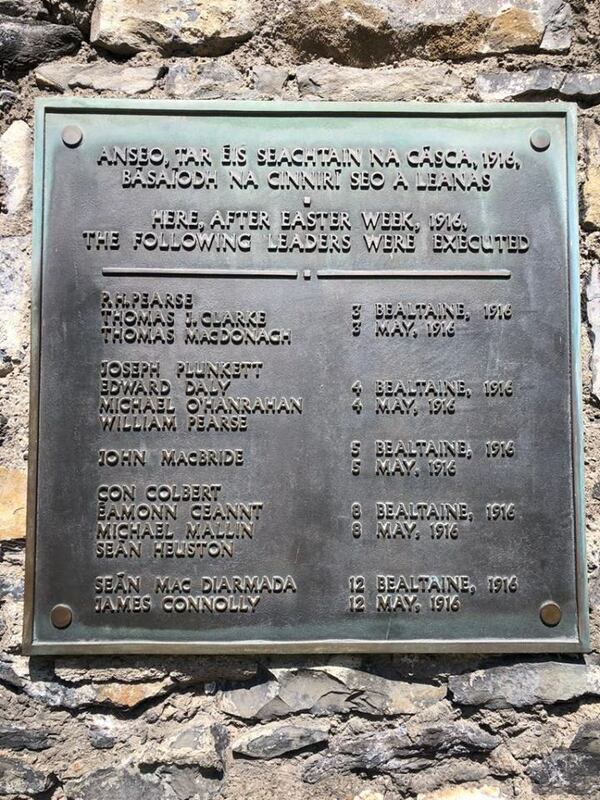 The names of the insurgents of the Good Friday 1916 Rising who were executed at Kilmainham Gaol. I am not a beer drinker, but I definitely could not resist the desire to tour the world-famous Guinness Storehouse. Again, purchasing advance tickets online for everyone in your party will assist you greatly. I did not do so and waited about 20 minutes in line. This is a very popular attraction, with tourists arriving by the busload, so be prepared for it to be crowded. With admission, you will receive welcome instructions from a staff member, and then you will be on your own to tour the facility which is seven stories full of interesting exhibits, dedicated to the history of making the “black stuff.” There are elevators which make the Guinness Storehouse wheelchair and stroller friendly. Of course, free beer is included with admission! 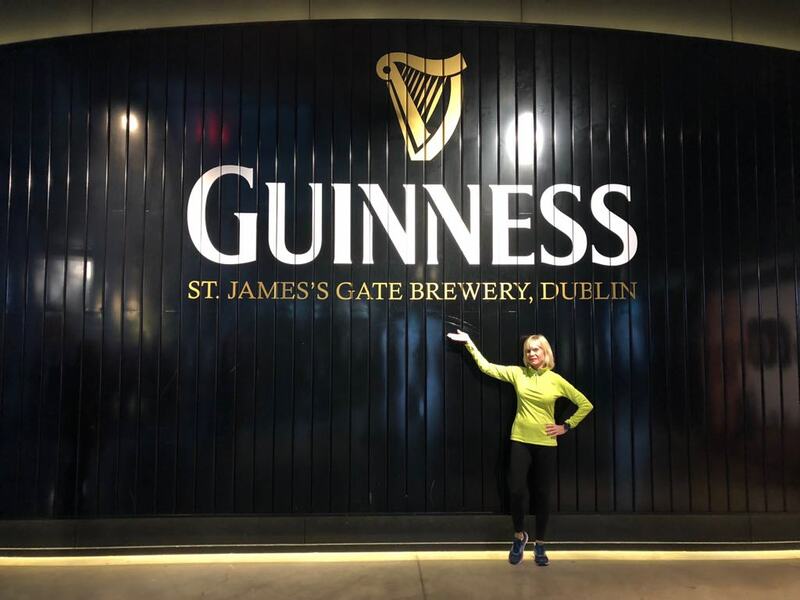 There are two options: a full-sized pint on the top floor in the spectacular Gravity Bar, which boasts 360-degree views of all of Dublin with floor-to-ceiling windows, or a taste testing of four varieties of beers that Guinness makes. I chose the samples since I do not drink beer and wanted to check them all out. 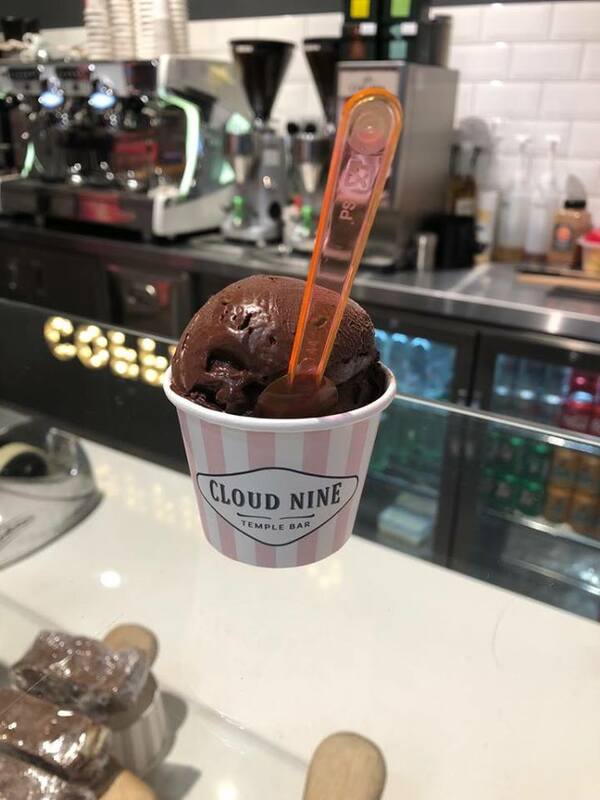 There are several restaurants and cafes available to you while touring, and an extremely large retail shop selling all things Guinness for you to purchase as a souvenir for yourself or to bring home for a family member who is a Guinness fan. Due to its popularity, I would budget two hours for this tour. My Guinness sampler during the tour of the Guinness Storehouse. Guinness Storehouse tour, enjoying the samples! If you are looking for the authentic Irish pub experience, the Brazen Head Pub is the place to go. It is officially designated as the oldest pub in Ireland, operating since 1198, to be exact! It is so full of history, with pictures and scrolls on its walls. It serves award-winning food as well as wines, if that’s your preference over beer, and offers traditional music. Reservations are not accepted. That’s part of the fun. You decide how long you want to spend at this historic pub! 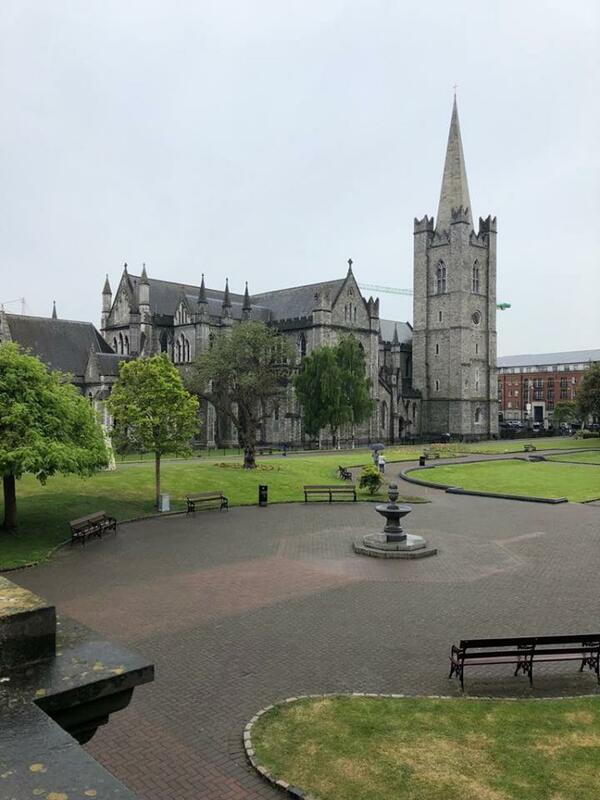 The city of Dublin has two cathedrals, both belonging to the Church of Ireland, St Patrick’s Cathedral, which your toured yesterday on the first day of your 2 days in Dublin itinerary, and Christchurch Cathedral (also known as The Cathedral of the Holy Trinity). Christchurch Cathedral has been welcoming worshipers and visitors alike for over one thousand years! Its medieval architecture is beautiful both inside and out. There is a modest admission fee, which helps with the upkeep of the church. You can choose a self-guided audio tour, or a guided tour, which lasts about forty-five minutes. I would suggest budgeting forty-five minutes to one hour at Christchurch Cathedral. Back inside the walls of Dublin, are two landmarks worth visiting during your 2 days in Dublin itinerary. The first is the statue of the mysterious but very popular Irish personality, Molly Malone, located on Grafton Street. Molly’s background is obscure at best. Irish lore has her selling seafood from her wheelbarrow during the day and/or working as a prostitute at night. No one is quite sure. Her statue dresses her very provocatively if that’s any indication of her true profession. Current local tradition holds if you rub one of Molly’s breasts, you will have a bit of good luck! This is a popular tourist attraction, but I do not think you will be there longer than fifteen minutes. Molly Malone’s statue. She def has a mysterious past! 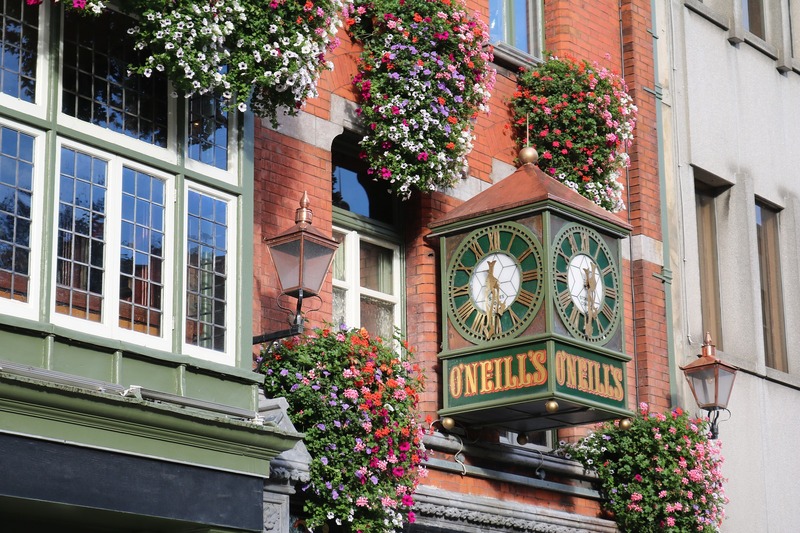 Oneill’s Pub & Kitchen is located directly across the street from the Molly Malone Statue. It is very popular and has been around for over 300 years! 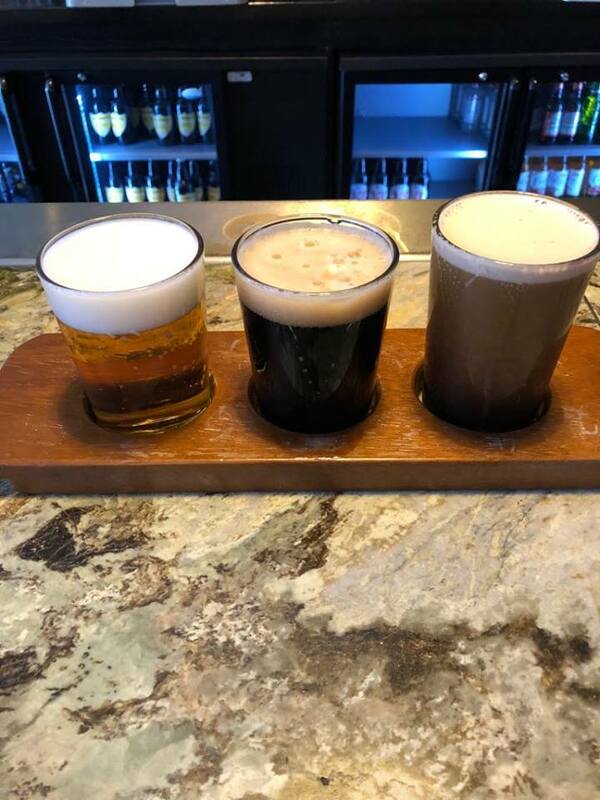 It is an authentic Irish pub experience, complete with Irish music, good food served all day long, sourced locally, and of course, there is the beer! Plan thirty minutes here for a beer, longer if you decide to stay for dinner. 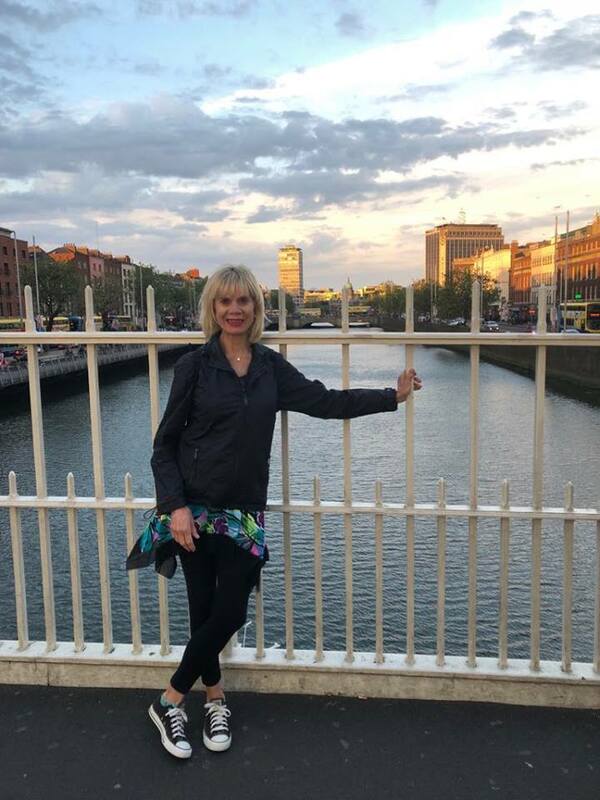 Here are some quick tips and tricks I’ve learned, along with the ones above, which will enhance your 2 days in Dublin itinerary. Please remember, always stay hydrated. Bring a reusable water bottle with you and refill it often. I never travel without my Bobble water bottle. It is just the right size to fit into my daypack and the carbon filter assures I will always have clean drinking water. The official language of Ireland is Gaelic, the second is English. All the street signs and all government signs have two languages: first Gaelic, second English. This can take a bit of time to get used to. Use the Dublin Spire as a landmark to get around Dublin City. It juts almost 394 feet into the air, above most city buildings and is easily and visibly seen from around the city. It would make a great meeting place if you get separated from the other members of your group. Contact your credit card company and check to see if your credit card does or does not have foreign transaction fees. If it does, inquire about the possibility of applying for one that does not carry foreign transaction fees attached to it (the small fee charged you whenever you use your card out of your home country.) Also, remember to notify your bank of the dates you will be out of the country. When you visit an ATM in Dublin, check to be sure it is on the same network as your bank, so you are not charged a transaction fee every time you withdraw cash. Withdrawing larger amounts of money will help you limit bank transition fees. Purchase advanced tickets to attractions whenever possible. Admission tickets purchased online are usually offered at a discount, and you will save a lot of time waiting in lines to buy tickets at the individual attractions. 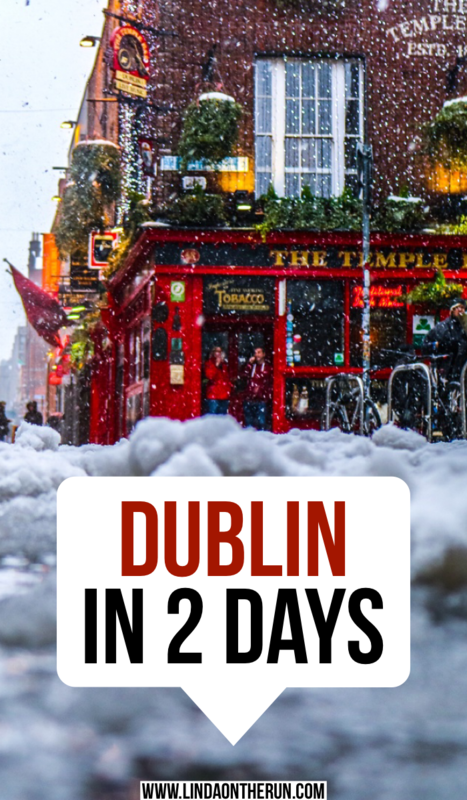 Your 2 days in Dublin itinerary will flow more effortlessly when you have your plan and can pace yourself and not have to worry about the availability of tickets at each location. Bring along a universal power converter to keep your electronics charged and ready to go. This world travel adapter would is a good example of what you will need whenever you travel outside of your own country. This universal travel converter adapter is a bit more expensive, but it has capabilities of charging more devices at the same time. This is good when there are several multiple people in your travel party, or you have multiple devices you need to be charged each evening. Two days is definitely long enough for you to get to know the bustling capital city of Ireland and all she has to offer. You will marvel at the rich Irish history, monuments, museums, Irish food and of course, the Irish pubs! Your 2 days in Dublin itinerary has mapped out for you many of the highlights Dublin has to offer. Have you ever been to Dublin? What was your favorite thing to do? What would be your #1 recommendation for a first-time visitor? Please leave your comments below. Love your pics and info, good to know for when I go. What’s it like in January? Planning a visit for the Vibe for Philo (of Thin Lizzy) celebration in Dublin. Annually January 4th. Nan, I’ve never been to Ireland in January, but I know it is cold, so bring plenty of cold weather clothes you can layer. And waterproof shoes or boots. The January days are short and the sun sets early so you will have a lot less time to see the sights. And it is difficult to predict the weather, could be cold and crisp, misty and rainy, or a combination of both. No matter what, you will have a great time!!! Very informative, well done! I could see me and the hubby going our separate ways for this 2 day tour. Him off to the bars and the brewery and me to stand in the library gawking at the old books and soaking up the atmosphere. I could practically smell those books. Now, I have to add Dublin to my travel wish list, thank you! 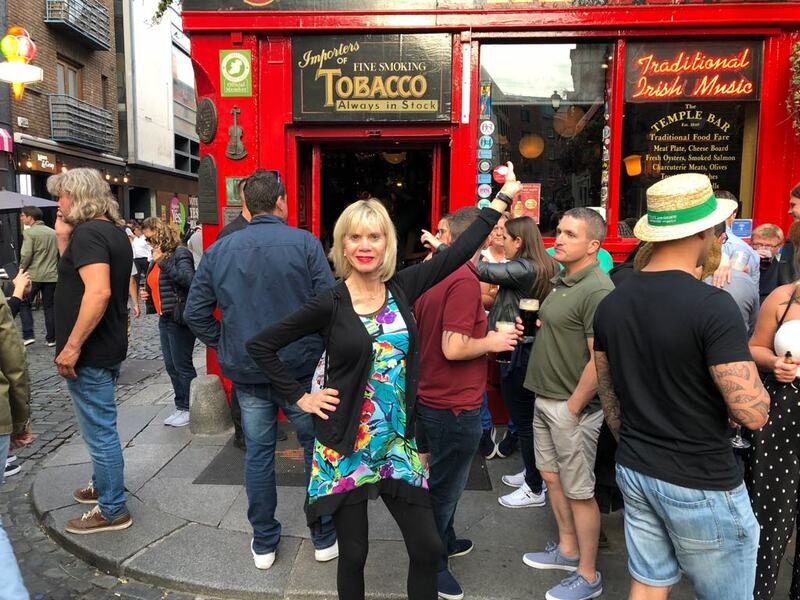 Yes, Tracy, you do have to add Dublin to your travel list! It is so much fun and so much to do! 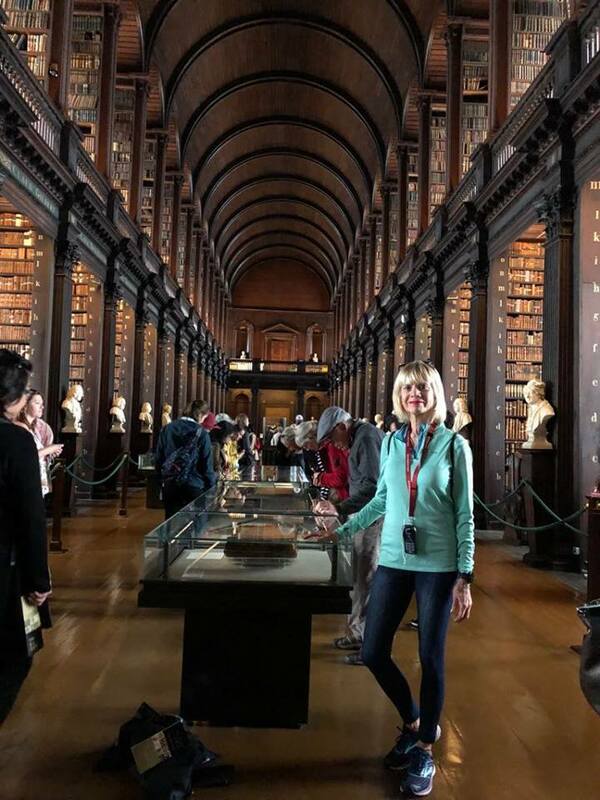 The Long Room Library was very interesting and I think your hubby would enjoy it as well as I think you would like the Guinness Storehouse tour. It’s all good. The Chester Beatty Library is magnificent, and was one of my hidden gem findings in Dublin. Remarkable collections. Allow much more than one hour. Great place to visit on a rainy day, I hear Dublin has them once in awhile. Thanks Ursula. I bet you did have fun being with friends in Ireland! ☘️ Thank you for the kind compliment. Carole, thanks for the Temple Bar webcam link! It will be so fun checking it out. I really enjoyed it when I was there.. and I agree, what’s not to love about Dublin?! My husband and I were just there in May! I absolutely ADORE Dublin! We had about a day and half and when we left I said I wished I had 2 more days! There is so much to see and do…and eat!! Such a great city. Can’t wait to go back. Oh Nicole I so totally AGREE with you! Dublin is epic! Thanks for this! 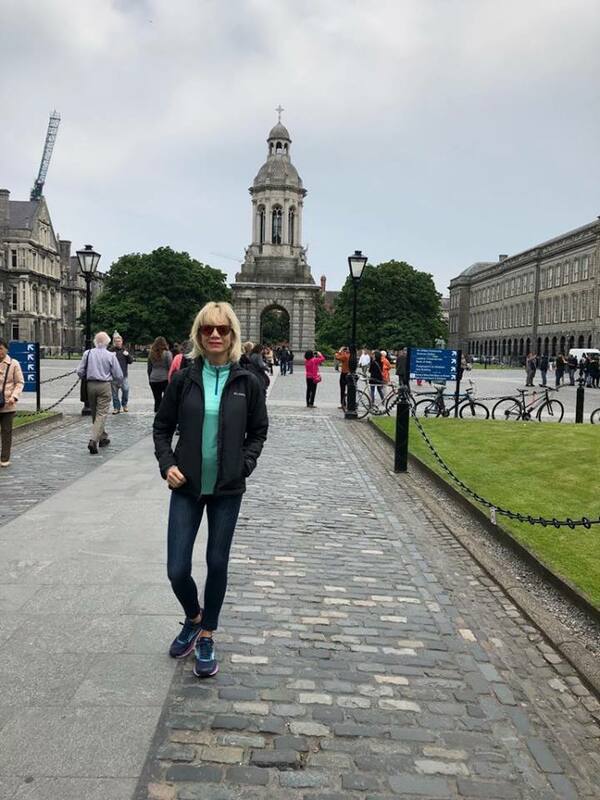 I’ve visited Dublin once but it was raining and I was in a rush – as a result I didn’t see very much, and it seems there are plenty of sights I didn’t make it to that I should have visited. I’m lucky to live only two hours’ flight from Dublin and in Europe all the discount airlines make it easy and cheap to get back and forth so yes, another visit is perhaps due! Thank you for the thorough look. Hey Leyla, please do take advantage of the European airlines’ discounts! I do believe Dublin deserves another visit. Thank you for the kind compliments. The literary pub tour sounds great! Loved reading your itinerary!!!! My husband and I will be in Dublin Oct.2 and 3! Hoping that crowds will be slightly less. Preparing for cool weather. Should we still plan to buy entrance fees for Guinness, Castle, and Library ahead of time? Hello Can I pls get the address or info of the aibnb in Dublin where you stayed? going next month. Great post! Those are definitely 2 bust days, but it is worth it to see most of what Dublin has to offer. I’ve always wanted to see Dublin Castle, but, unfortunately, it was closed both times I went to Dublin- what bad luck, eh! I have stayed outside of the city centre and inside of the centre, and I must say that paying a bit more to be able to walk everywhere is worth the price. I love walking through the different neighbourhoods on the way from one sight to the next. It is such a great way to get to see a little more of the city. Using the Spire as a reference point is such a great tip! It is a great way not to get lost! Thank you for such a well-planned itinerary. I wish I had found something like this when I was planning my first trip to Dublin in 2014. My sis and I have been to Dublin twice on tours and are going on our own this summer. Dublin Castle was one of our favorite things and Temple Bar too. Have not been to the Gaol, which is on our list for this time and the hop on,hop off bus and Christchurch. Can I ask the name of the B&B you stayed at? Hi Alice. Here is the info on the Dublin Air BB I stayed at. Can not recommend it enough! Have to admit, I am jealous. Dublin really impressed. My husband and I are taking my mum, and our teen daughter to Ireland for a month Summer of 2020. We have about 2 and a half days around Dublin. One the day we come in and a little longer on the way out. I have been trying to plan things we all will enjoy. My biggest question is if my daughter will be allowed in the pubs and on any of the brewery/distillery tours? Obviously she wouldn’t be drinking she is only 13. But I dont want to try to get into places that wont let her in. Also, have you ever been to any GIAA events or horse races? They are things my hubby wants to try and see. A whole month in Ireland sounds spectacular! I have not been to any horse racing or GIAA events. I know you and your entire family will have a spectacular Ireland vacation.